Ok, I've had it. I've been seeing this all over people's blogs and it's time for me to set the record straight. I can't take this ignorance anymore. I swear to God, if I continue to see people talk about the great deal they got on their ROD IRON this and their ROD IRON that, I think I will have to get off the internet. I cannot be seen with the likes of people who believe it's ROD IRON. Google it. Even google knows that when you put in ROD IRON, you really are looking for wrought iron and that's where it takes you. And though I so dislike wikipedia because I believe the devil himself created such garbage, I do believe what it says here and I will link it up to show you it's WROUGHT IRON. Wrought is an old past participle for work. 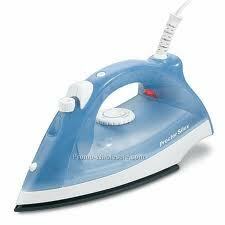 As in WORKED IRON. It's been bent and mangled to shape into what it is to be used for. It's also an adjective meaning worked into shape, beaten into shape, etc. So, your lovely wrought iron gate was worked into its current state of being. Yes, it might have been iron rods in the beginning, but those rods were worked, or wrought (see, past participle of work), into the shape you wanted for your gate. So be sure to spread this to everyone you know so I can keep my iron rods hidden and not have to beat anyone into a bloody pulp with my own wrought iron rods. LOL!! THanks for clearing it up:) I will spread the word and educate people-:) THanks for educating the world hun! OhhhMG. People actually say "rod iron?" Excuse me while I go have an aneurysm. Keep fighting the good fight. Seriously. Thank you. Oh I am NOT kidding. I have seen more link ups to crafty sites where they redo a "rod iron" candle stick or a "rod iron" fence. Yep. It's really out there. Oh good grief. I though people talking about their "draws" was bad enough (as in kitchen draws). Oh, I know all about things being in the "draws". I think I might be the only one in my family to say drawer. I'm sure someone is out there making rod iron draws. I missed this post - hilarious!